Climate change is rapidly warming the surface waters of lakes around the world, threatening freshwater supplies and ecosystems, according to a new study spanning six continents. 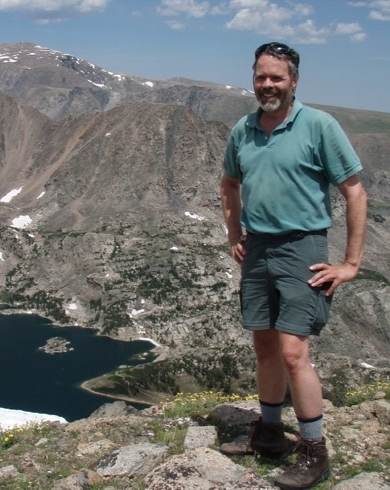 More than 60 scientists, including Craig Williamson, Ohio Eminent Scholar of Ecosystem Ecology at Miami University, took part in the research, published in the Dec. 16, 2015, issue of Geophysical Research Letters. Funded in part by NASA and the National Science Foundation, the study is the largest of its kind. It is the first to use a combination of long-term hand measurements and temperature measurements made from satellites, offsetting the shortcomings of each method. A total of 235 lakes were monitored for at least 25 years. While that’s a small fraction of the world’s lakes, they contain more than half the world’s freshwater supply, the study authors said. The study found lake surface water temperatures are warming an average of 0.34 degrees Celsius, or 0.61 degrees Fahrenheit, each decade. That’s greater than the warming rate of either the oceans or the atmosphere, and it can have profound effects, the scientists said. 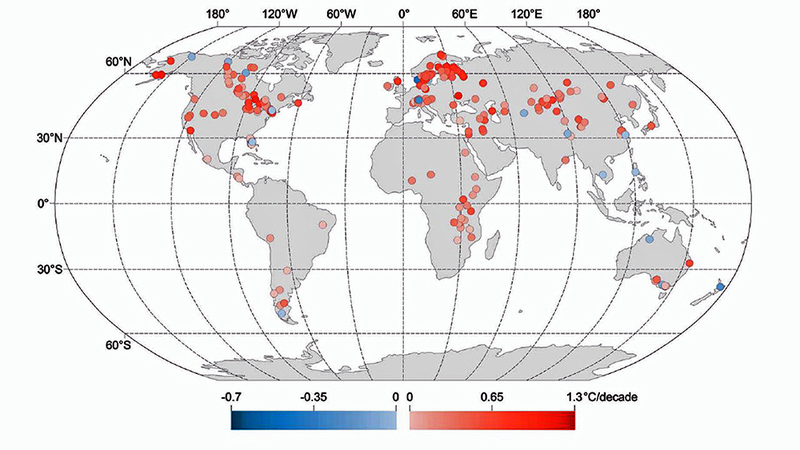 The most rapidly warming lakes were scattered around the globe. 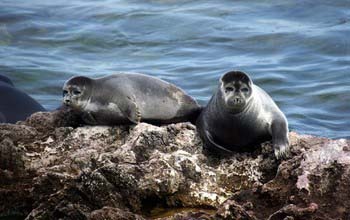 They include Siberia’s ancient Lake Baikal, where warming temperatures are threatening the Baikal seal, whose pups are born on lake ice. In agricultural areas, warmer waters can fuel harmful algal blooms, like those in Lake Erie that threatened the city of Toledo’s water supply in August 2014. 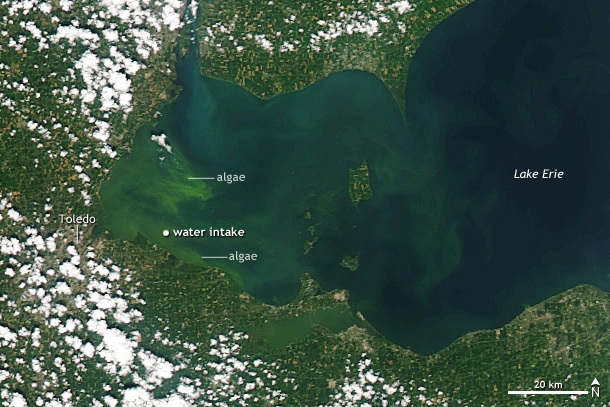 NASA satellite image of toxic algae bloom in Lake Erie, off Toledo, on Aug. 3, 2014. At the current warming rate, algal blooms are projected to increase 20 percent over the next century (image courtesy Climate.gov). At the current warming rate, algal blooms, which can ultimately rob water of oxygen, are projected to increase 20 percent in lakes over the next century. Toxic algal blooms, which are a serious problem in many Ohio reservoirs, would increase by five percent over the next century. "These results suggest that large changes in our lakes are not only unavoidable, but are probably already happening,” said lead author Catherine O'Reilly, associate professor of geology at Illinois State University. Increased evaporation associated with warming can lead to declines in lake water level, with implications for water security, substantial economic consequences and, in some cases, complete ecosystem loss. Craig Williamson, Ohio Eminent Scholar of Ecosytem Ecology and study co-author. The researchers said various climate factors are associated with the warming trend. In northern climates lakes are losing their ice cover earlier, and many areas of the world have less cloud cover, exposing their waters more to the sun’s warming rays. Many lake surface temperatures, including those of the Great Lakes, are rising faster than the average air temperatures. Some of the greatest warming is seen at northern latitudes, where rates can average 0.72 degrees Celsius, or 1.3 degrees Fahrenheit, per decade. Warm-water, tropical lakes may be seeing less dramatic temperature increases, but increased warming of these lakes can still have large negative impacts on fish. That can be particularly important in the African Great Lakes, home to one-fourth of the planet’s freshwater supply and an important source of fish for food. "Our knowledge of how lakes are responding to global change has been lacking," said Henry Gholz, program director in the Division of Environmental Biology at the National Science Foundation, which helped fund the research. "That has made forecasting the future of lakes — and the life and livelihoods they support — very challenging. These newly reported trends are a wake-up call to scientists and citizens, including water resource managers and those who depend on freshwater fisheries." Rachel Pilla (Miami MS '15), will work with Craig Williamson on an extension of this research. 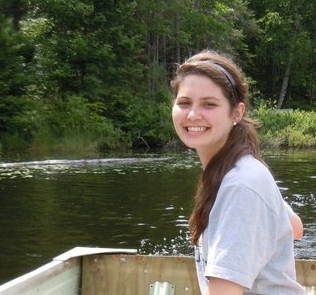 Williamson and colleague Rachel Pilla (Miami MS '15), a research associate in the department of biology, are working on an extension of this project that will examine changes in the deeper water as well as surface temperatures in a suite of more than 100 lakes from around the world. Satellite measurements go back only 30 years while some lake measurements that Williamson and Pilla have collected from colleagues around the world go back more than a century. Study co-author Simon Hook, science division manager at the NASA Jet Propulsion Laboratory, said satellite measurements provide a broad view of lake temperatures over the entire globe. But they only measure surface temperature, while hand measurements can detect changes in temperature throughout a lake. 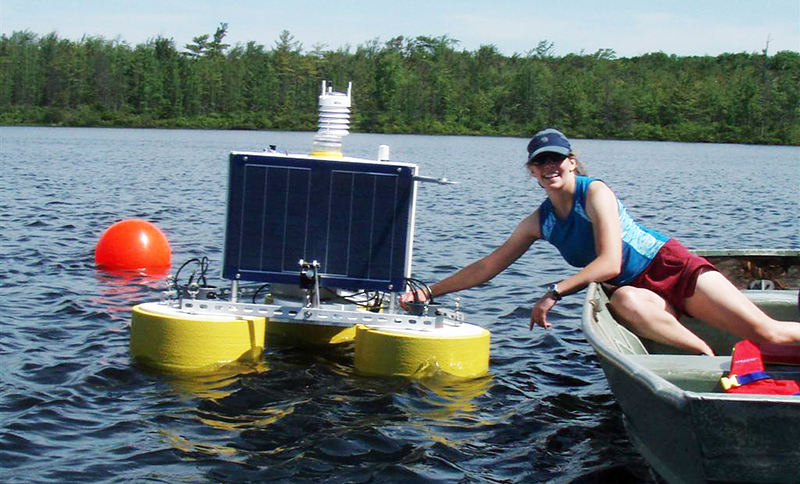 Jennie Brentrup, Miami doctoral student in biology, with a buoy equipped with a suite of sensors in Lake Lacawac, one of the study sites. The 235 lakes studied include Lake Lacawac and Lake Giles in the Pocono Mountains of Pennsylvania. Lacawac Sanctuary and Biological Field Station is one of the field sites for Miami's Center for Aquatic and Watershed Sciences (CAWS). Faculty and student researchers from Miami and more than 30 other institutions conduct research at Lake Lacawac, which is a site member of the Global Lake Ecological Observatory Network (GLEON). Acton Lake, near Miami's Oxford campus, is also a site member of GLEON. "Rapidly warming temperatures may be especially important in many of Ohio’s lakes, many of which are shallow and already have algal bloom problems," said Mike Vanni, professor of biology and director of CAWS. "In these lakes, warming temperatures are likely to exacerbate blooms of harmful algae and the surface waters of some lakes may become too warm to support healthy populations of sportfish."